The MitySOM-A10S with Dual Side Connectors (MitySOM-A10S-DSC) is an Intel/Altera Arria 10 SoC board-level solution for machine vision and scientific imaging applications, and other stack-through configurations. In addition to the A10 processor, the module includes on-board power supplies, two DDR4 RAM memory subsystems, micro SD card, a USB 2.0 on the go (OTG) port, and a temperature sensor. The MitySOM-A10S-DSC provides a complete and flexible CPU infrastructure for highly integrated embedded systems. 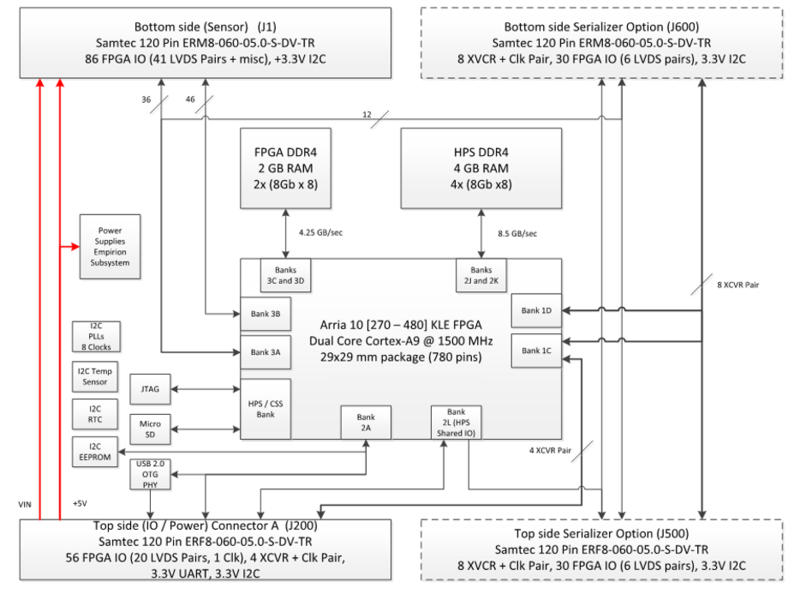 The MitySOM-A10S-DSC is available with a 270KLE Arria 10 SX which provides dual-core Cortex-A9 32-bit RISC processors with dual NEON SIMD coprocessors. Options up to 480KLE devices are available. This MPU can run a rich set of real-time operating systems containing software APIs expected by modern system designers. The ARM architecture supports several operating systems, including Linux. 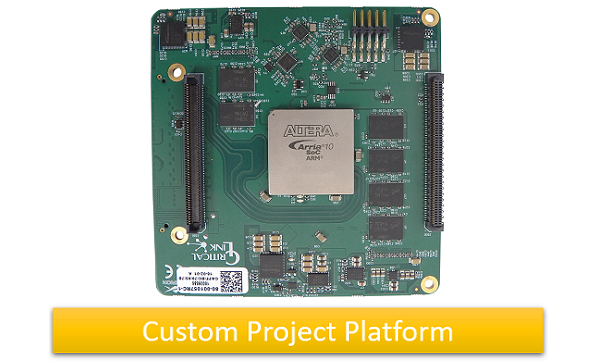 Contact Critical Link to inquire about a development kit for our Arria 10 SoC board-level solution. Does your application require options not listed above? 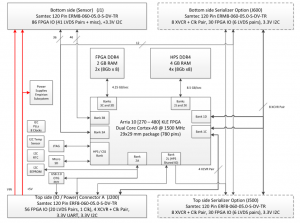 Contact Critical Link to inquire about additional Arria 10 SoC board-level solutions and SOM configurations.